In one of my (increasingly common) "what was I thinking?!" moments, I found myself simultaneously hosting two giveaways last week. Well, I am now a firm believer in karma, because I also actually won two amazing giveaways last week, too! First, I was lucky enough to win a free copy of the Candy Bar Road pattern by SuzGuz Designs, courtesy of Russ & Rhonda at the Backporch Quilters. I've been admiring this quilt pattern for a while now, ever since seeing it first on Dana's blog and, later, Amanda Jean's Christmas version of it. 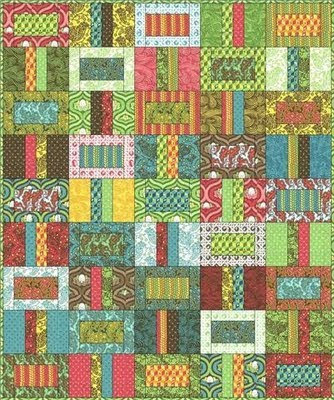 I am just thrilled to have won this pattern and, since it's jelly roll-friendly, I think it will be perfect to use my stash of Tula Pink's Flutterby fabrics that I (gulp, mistakenly) recently cut up into 2.5" strips. Psst ... Russ & Rhonda are hosting a giveaway every week from now until Christmas, so be sure to check out their site for more of their awesome prizes. Next, from 318 comments, I was one of the 3 lucky winners of Fabricworm's fabric giveaway!! 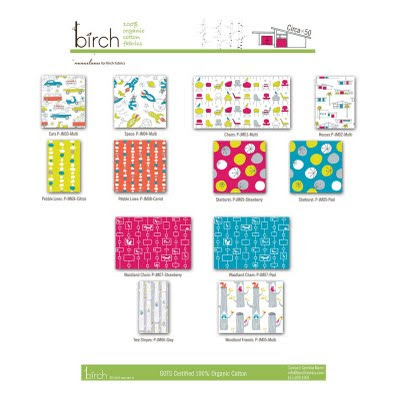 Cynthia was giving away 1 yard of each of the prints from the upcoming line for her Birch Fabrics, 100% Organic fabric collection. This line is called Circa 50 and was designed by Monaluna. This was one of those giveaways that I knew everyone would be trying to win, so I really didn't think I had a chance. But I was so taken with the prints -- those tree trunks! chairs ... and rocketships! and (gasp!) little foxes! I LOVE foxes!! -- that I just had to throw my name in the hat. And, boy, did it pay off. I can't wait to start creating things with this wonderful fabric line. Thanks again to Russ, Rhonda, and Cynthia for your continued generosity. 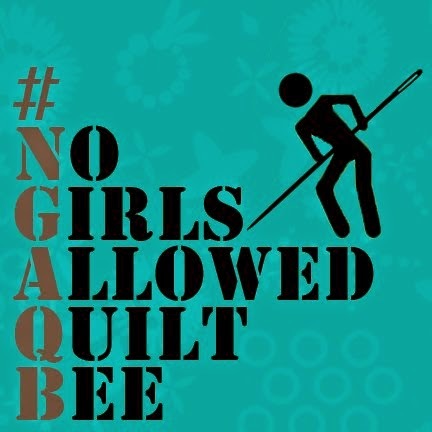 Please take a moment to check out their sites if you haven't already -- tell them that Quilt Dad said "hi"! And thank you too, oh great karma gods in the sky! Wow -- you're on a roll with winning giveaways. Maybe you'll win mine =). I was so wanting to win fabricworm's giveaway! I can not wait to see what you create with them. Wow, are you one superlucky guy! congrats on the wins! I'll just have to keep on entering...one of these days my number will come up. I entered the giveaway for that fabric too, but I'm glad its going to someone I follow so now I'll see what you're going to do with it! 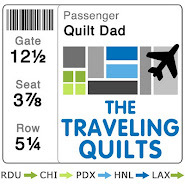 Way To Go Quilt Dad! Pretty darn cool, John! I love that fabric line! 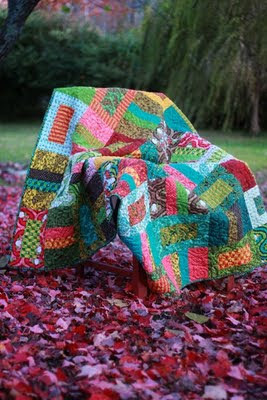 Karma indeed - all of your generosity, leading the Wonky Log Cabin QAL, is so coming back to you! Hurray! I think it's great that you won two giveaways as well as giving two.Like the others,I can't wait to see what you do with them! Congrats on your two wins! How funny....I just mailed the prize you won from me!!! I'd say PLAY THE LOTTERY!!! You are hot!!! Congrats on the latest prizes. I just recently ran across your site and I LOVE the tutorials on wonky blocks. I'm a new quilter and have a question - your fabrics go together so great - are they typically from a line or do you just have a great eye for coordinates?? I'm going to make a wall hanging of these wonky block, and I'd love some tips on selecting colors/fabrics!! Hey John, I got my embroidery package, thanks so much! Check out my blog to see my first project. And you're right- I'm already hooked! congratulations! i'm glad you like the fabrics. your blog is great! i sent it to my husband... kind of hoping he'll be inspired. Congrats Jon! What great prizes I also love that candy bar quilt! What a great use of some Tula Pink! Sorry, that last comment was me! Jenny is my Mother and I'm visiting :) I'm lovin' your luck though! Enjoy your new fabric and patterns! You are so lucky to win that pattern...and your fabrics will be perfect for the jellieroll quilt. good for you for winning those fabulous prizes! candy bar road is one of my very favorite patterns ever. Well done on your wins. Just found your blog via Katy (I'm a ginger monkey). Can't tell you how great I think it is to find a bloke who quilts! All that to say... I am waiting and waiting for that next post!